“As youths, we have questions such as: why do we have wars? Who is benefiting? The quest for global peace and harmony escalated yesterday with the historic launch of the proclamation of the Declaration of Peace and Cessation of War here yesterday, to bring an end to global armed conflicts and attendant challenges. The event was witnessed by more that 1 000 senior government officials, legal experts, civic leaders, the academia and other stakeholders from across all continents. 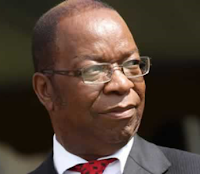 Zimbabwe was represented by Chief Justice Godfrey Chidyausiku, who was acknowledged during the ceremony as one of the most senior legal experts in attendance. World leaders are now expected to sign and adopt the declaration that will bind them towards fostering peace. Spearheaded by South Korea’s Mr Man Hee Lee, chairman of the Heavenly Culture, World Peace and Restoration of Light (HWPL), the declaration was the culmination of months of formulation and global campaigns by an international law peace committee made up of 20 law experts. Furthermore, it would seek to foster a culture of peace. “Heads of state and heads of governments should acknowledge that they are uniquely well-placed to encourage a culture of peace, and should act to support this declaration to bring about the cessation of war,” read the declaration. Wars in Syria, the Israeli-Palestinian conflict, Afghanistan, Libya and those in other parts of the globe have deprived humanity of development while millions of lives have been lost. This state of affairs was described yesterday as untenable, robbing the planet of its potential. The declaration also seeks to prohibit the production, sales and supply of all weapons and the training of war potentials. It also seeks to represent the voices of women and the youth, the most vulnerable in armed conflict. “This work of peace is a task someone must take on. It is a path that leads to peace, so we must continue to look at it. We have come together to eradicate wars from the face of the earth. We must raise our voices against wars,” declared Mr ManHeeLee. 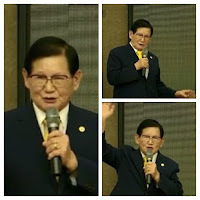 The HWPL chairman, ManHeeLee said he had traversed the globe 24 times talking about peace and he was confident his efforts would yield much. HWPL was established a few years ago to foster peace in a world fraught with conflict. Its arms, the International Women’s Peace Group (IWPG) and the International Peace Youth Group (IPYG) have also been in the forefront of eliciting support for peace within their respective constituencies. An IPYG representative from the Phillipines drew sympathy from delegates when he said many youths and children were caught in the conflicts and yet they did not understand why there was so much conflict. “As youths, we have questions such as: why do we have wars? Who is benefiting? When will they end. “Indeed now is the time for all of us to aspire for world peace,” he said. “A perfect world of peace will be achieved. I believe that. We pledged to be united before God . . . before all the citizens for it to be an earth with a heavenly framework. In order to accomplish the collective wishes of all humanity, we have gathered here today. This very moment at this very place will never be forgotten in the history of mankind for the Declaration of Peace and Cessation of War will be publicly proclaimed. All citizens of this globe will have to gather their hearts to acknowledge and urge this declaration to embrace the new era and the new life full of peace,” said Mr ManHeeLee. The declaration seeks to dispose the world of all armed conflicts and dis-empower those that seek to initiate war. Its core elements include the prohibition of the threat or use of force, eradication of the likelihood of war, development of friendly relations in accordance with the United Nations General Assembly Resolution 2526 (XXV) and refraining from military, political, economic or any other form of coercion against territorial integrity or political independence of another state. Leaders present at the launch of the declaration yesterday pledged total support for the restoration of global peace and said it was critical that everyone adopted the declaration, seen as a powerful tool to attain peace and restore human dignity.